I've been trying to find a good protein shake for breakfast or snack time to help fill me up and keep me full. But the protein shakes I've tried in the past are more like a thick drink, not really a meal replacement shake. Recently, I was doing some research and came across Dr. Aaron Tabor's Slim and Beatiful Diet Shakes on Facebook. 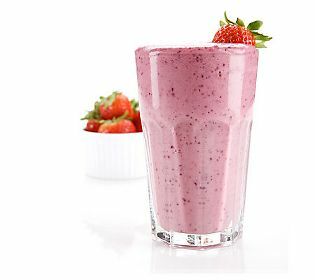 I thought what a great idea to combine the benefits of a healthy, delicious, shake that will improve your skin, hair and nails and can help you get or stay slim at the same time. I contacted Dr. Tabor for a few samples of his Slim and Beautiful shakes. He quickly sent three samples, Chocolate, Strawberry and Vanilla and here is my review. I'm a fan of chocolate, so I knew I'd love that flavor. Since I'm not a big strawberry shake fan, I went with that one first. But to my surprise, these flavors weren't your standard strawberry shake flavors and it was delicious! To my surprise, the strawberry shake tasted like real strawberries! I really liked it! It was so thick and filling, I couldn't finish it. I knew Dr. Tabor was on to something here. It turns out he's patented a special kind of protein in his Slim and Beautiful shakes to keep you feeling fuller, longer. The vanilla and chocolate flavors were just as good if not better! I love all three shakes because the tasted great and were so satisfying and kept me full for hours. You can feel good about using them as a meal replacement or in between meals because they really do fill you up. 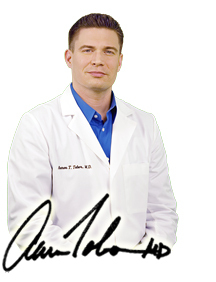 Dr. Aaron Tabor's Slim and Beautiful Diet Shakes are a must have if you want beautiful skin, hair and nails and want to slim down too. I've recommended them to all my friends because their so filling and delicious. The saying is true, "You really are what you eat"! Just check out these before and after photos. The results are pretty amazing! If your interested in buying these delicious shakes and bars individually or purchasing the kits, you can order them online at directly from his website, at QVC and his Facebook page. Also, be sure to check out his Twitter page for updates.